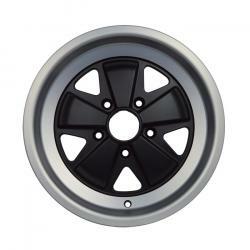 Stuttgart Classic is the precise replica of the “Fuchs” wheel for Porsche Carrera 911. 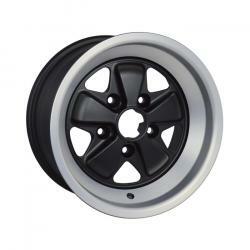 The rim has the classic Porsche design, with five petal-shaped spokes that widen from the hub to the polished lip. 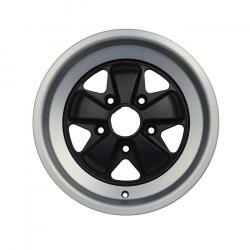 Manufactured in Italy using water and air cooled low pressure casting equipment, it results in the strongest and lightest cast aluminum wheels on the market. Stuttgart Classic fits the original Porsche center cap and is perfect for the historic Carrera 911, as well as for other applications.